TARANGO works in ten districts of Bangladesh to create opportunities for economically disadvantaged or marginalized women producers and make the women resourceful, skilled and production oriented by assisting them to develop their human potentials and talents to promote leadership and entrepreneurship so that they can take up the responsibilities of sustainable economic activities to establish a self-reliant and gender-balanced society. Most of our producers are members of co-operatives or associations, but carry out their work at home. Fair Trade involves transparent management and commercial relations to deal fairly and respectfully with trading partners. TARANGO works in a transparent, respectful manner with its producer groups. We have our two producers in our Executive Committee. We are always accountable for improvements in our trading practices and in social and community development. A fair price in the regional or local context is one that has been agreed through dialogue and participation. It covers not only the costs of production but enables production which is socially just and environmentally sound..
TARANGO set the price through dialogue and participation with producers in order to achieve transparent and clear pricing structures. It always provides fair pay to its producers and takes into account the principle of equal pay for equal work by women and men. And most of producers in TARANGO are women. TARANGO also ensure prompt payment to its partners and, whenever possible, help producers with access ‘Women’s Security Fund’ facility, pre-production financing. Fair Trade means that women’s work is properly valued and rewarded. Women are always paid for their contribution to the production process and are empowered in their organizations. 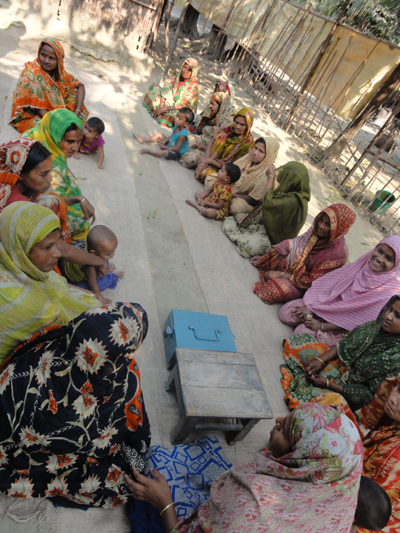 TARANGO works with the women in rural areas and other socially, economically and geographically marginalized women to establish a just and poverty free society by organizing and training for disadvantaged women in Bangladesh. Its dream and desire is to establish a just and poverty free society through women empowerment. We also helped to increase their ability to have a secure livelihood, while improving their self esteem. TARANGO works to raise awareness of Fair Trade by providing our customers with information about the origins and production process of handicraft products. Fair Trade means a safe and healthy working environment for producers. TARANGO started Mother & Child Health Care project supported by Fair Trade trading partners to assist some of the 3508 individual patients especially mother and child by providing Doctors advice against diseases and primary treatment with medicinal support. We try to provide good working premises with sufficient lights & air. Also advice them good H&S practice and use of masks and other safety equipment. 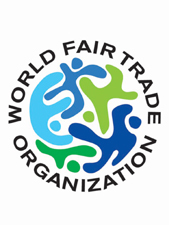 Fair Trade Organisations respect the UN Convention on the Rights of the Child, as well as local laws and social norms in order to ensure that the participation of children in production processes of fairly traded articles (if any) does not adversely affect their well-being, security, educational requirements and need for play. Organisations working directly with informally organised producers disclose the involvement of children in production. Fair Trade is a means to develop producers’ independence. Fair Trade relationships provide continuity, during which producers and their marketing organisations can improve their management skills and access to new markets. To accomplish this we are supporting training in Skill, Design, Production & Quality Development, Marketing and Promotion to our producers. We also help finance capital expenditures for new equipment allowing them to further develop their product range. We supported our producers in four layer approach- training, supplies of raw materials, marketing and guidance into self-directed action. Fair Trade actively encourages better environmental practices and the application of responsible methods of production. TARANGO integrates environmental concerns into its production process by using eco-friendly raw materials, technologies, initiatives to reduce energy consumption and create awareness of environmental hazards. During our visit, we convey the importance of environmental sustainability to our producers. We are committed to using locally-sourced, sustainable raw materials. Fair Trade Organisations trade with concern for the economic, social, environmental and cultural well-being of small producers and do not maximize profit at their expense. They maintain long-term relationships based on solidarity, trust and mutual respect that contribute to the promotion and growth of Fair Trade. An interest free pre- payment of at least 50% is made if requested. TARANGO has developed long term relationships with its producers based on solidarity, trust and mutual respect. Most of the producers is working with us more than 20 years and now they are trained the newer producers. To develop their capacities and gain access to markets we have our regular monitoring and always visit to our producer groups. We also provide prepayment of at least 50% on all orders when they are given.